Over a decade ago in college, I religiously watched The Food Network to learn how to cook. Thanks to Rachael, Giada and Ina, I became more comfortable in the kitchen and graduated from making only Kraft Mac and Cheese and ramen noodles. Ina was always my favorite; maybe it was because she lives this fabulous life in the Hamptons in a beautiful home and, of course, with her adorable husband, Jeffrey, whom she feeds roast chicken every Friday night. 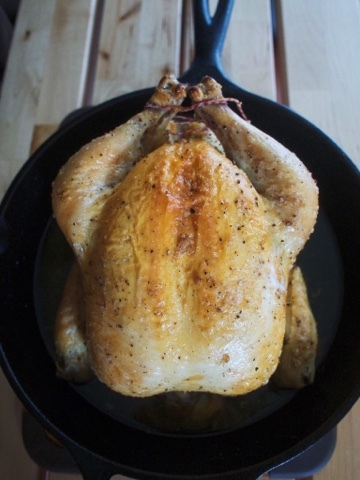 I've always been a little intimidated buying and cooking a whole roast chicken, especially when the rotisserie ones from the grocery store are so convenient and delicious. But I finally bit the bullet and decided last Friday night was the night to cook one and also have my own Friday Night Roast Chicken, in honor Ina and Jeffrey. Ironically enough, I didn't use Ina's recipe as my first foray into roasting chicken. 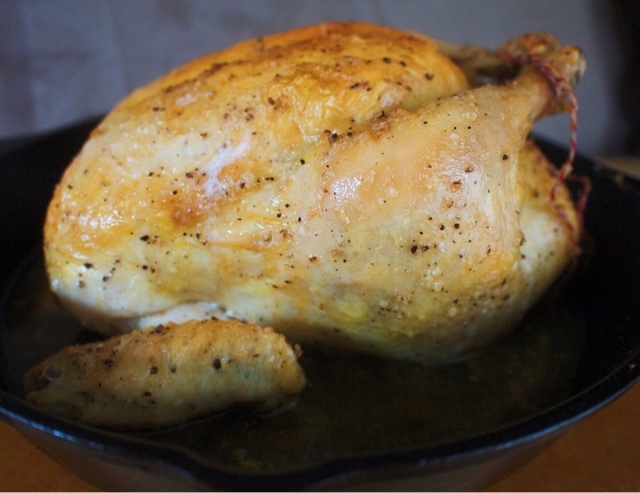 I turned to a more simple recipe that seemed fool-proof for a novice like me: America's Test Kitchen's Weeknight Roast Chicken. The ATK's recipe only called for salt, pepper, oil and the chicken and a much shorter cooking time. I'm all for keeping it simple, or I suppose that's a nicer word for laziness. The end result: a perfectly cooked roast chicken! It was super easy and beautiful. Make sure to watch the accompanying video on the ATK site so you can carve the chicken well too (which I didn't watch until AFTER I carved the chicken to not very visually appealing results).